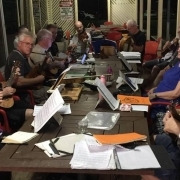 The Toowong Twin Sessions have renamed to McCarthy’s Celtic Music Session, to honour their Irish Australian founder and mentor, Brendan Williams. Along with the name change they have a new home at The Brat Cave, Wooloongabba, every Thursday from 5 to 10 PM. The Open Session will start around 5:30 – 6:00 and finish after 9:00pm. Expect to enjoy performances beforehand and after. The early section of the session still nurtures all comers including beginners on D tuned ukulele. Read more about that here. 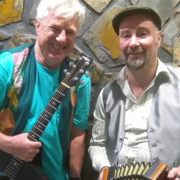 The repertoire is Celtic but now also includes BUMS style Ukulele Club Music & Contemporary Acoustic too. McCarthy’s Celtic Music Session are inviting all BUMS members to the first session in their new venue. There’ll be lots of beautiful, stirring music, amazing food, beverages and hospitality. 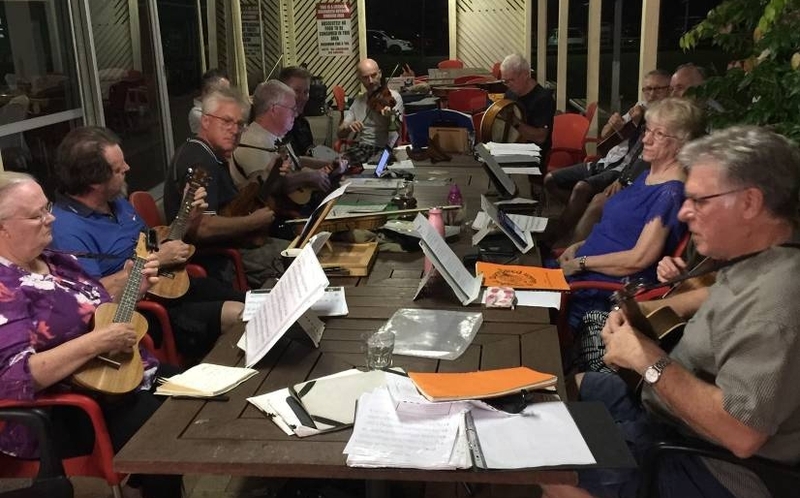 Bring your ukulele and join in. No preparation necessary for the opening. DATE: Thursday 2 May 2019. TIME: Arrive any time from 5:00. 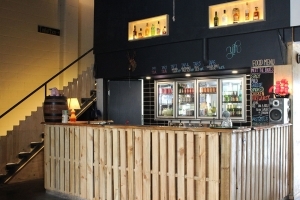 The Brat Cave is an uber-cool warehouse in Woolloongabba and home of Brat Haus, where patrons can enjoy Brisbane’s best German sausages, drink beer and now play uke. This grotto in the Gabba is furnished with retro chairs, lounges and tall tables with natural lighting highlighting the colourful wall mural. As well having a lively Celtic session you can kick back with a beer (there’s six beers on tap) and bratwurst – spicy, mild, cheese, chicken and firewurst – on a freshly baked bread roll generously topped with sauerkraut and fried onions….. Or a pretzel with plain, cheese or cheese and garlic on offer.